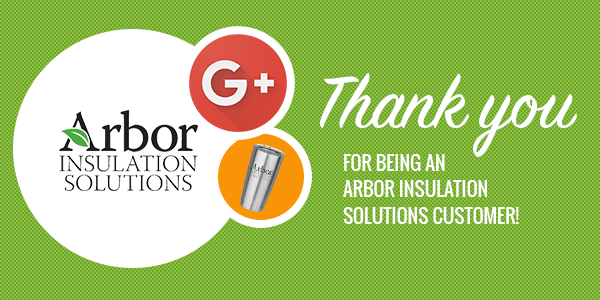 Thank You For Being An Arbor Insulation Solutions Customer! We love to hear from our customers so we can continue providing you and other homeowners with excellent service. Please consider leaving us a review on Google+ by clicking the image below. As a thank you to our customers, we are giving away a custom Arbor Insulation Solutions YETI mug! Simply fill out the form — no purchase or review is necessary to enter or win!